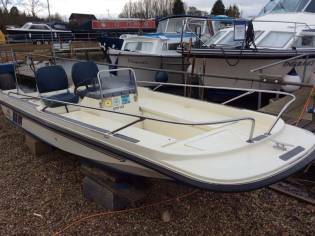 This Orkney Dory is the perfect boat for getting afloat on the river whether you are a first time boater looking to dip your toe or an experienced boater looking for a nippy runabout. 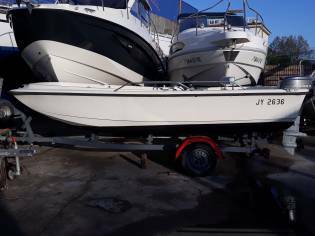 Arrived to us with after only 3 weeks use and offering a saving of thousands against a new boat for any potential buyer. fitted with a 15hp Yamaha outboard with power tilt and electric start. 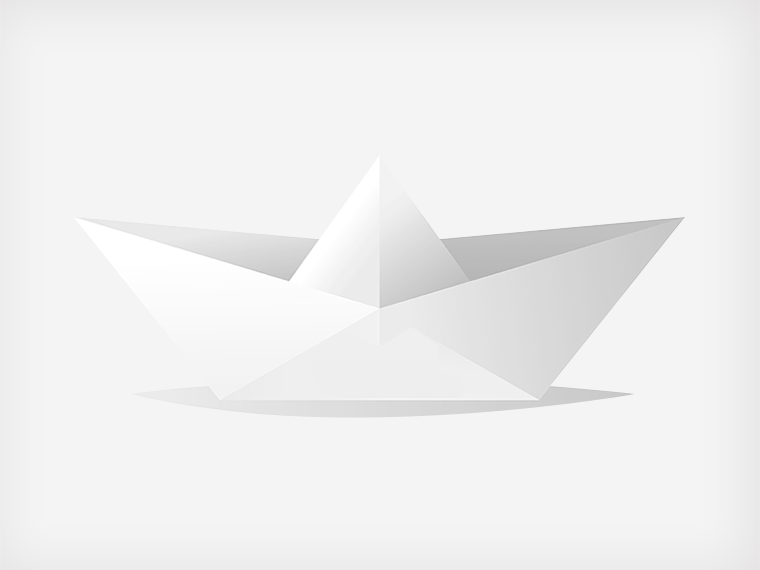 The Orkney Dory really is a timeless classic. 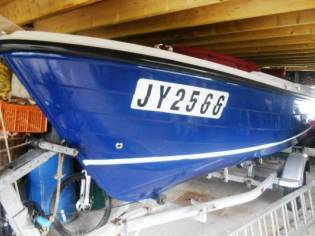 Orkney Dorys are pre-owned by Harbour and River Authorities, Police, Rescue Organisations, Sailing Clubs and many other commercial users. Our wealth of experience in dealing with these applications ensure that our vessels are tough, durable and supremely seaworthy. The time proven Dory body design is renowned for superior stability, outstanding handling and shallow gust combined with huge reserves of manufactured in foam buoyancy for ultimate safety. Constant construction over the years means that today’s models also feature more ‘V’ in the forward sections and ‘raked back’ sponsors for a smoother, drier ride. 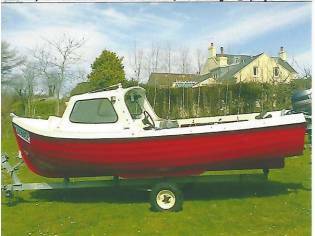 Whether you are looking for a ski vessel, work vessel, rescue launch or a vessel for just pure uncomplicated fun, the Orkney Dory will fit the bill to perfection. Whilst every care has been taken in their preparation, the correctness of these particulars is not guaranteed. The particulars are intended only as a guide and they do not constitute a term of any contract. 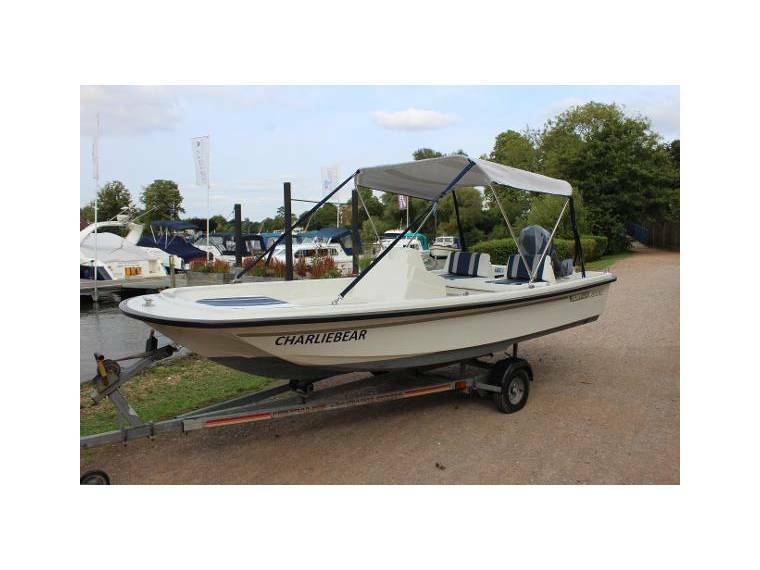 A prospective buyer is strongly advised to check the particulars and where appropriate to have the boat fully surveyed and inspected,river trialled and tested.